East Whittier City School District is excited to share our student score reports for the new computer-based tests in English-language arts/literacy and mathematics. The tests in the CAASPP system provide information to school sites, parents/guardians, and students regarding their progress and readiness for college and career. Last year's test results provided parents with baseline information on how their children were performing in ELA and mathematics. 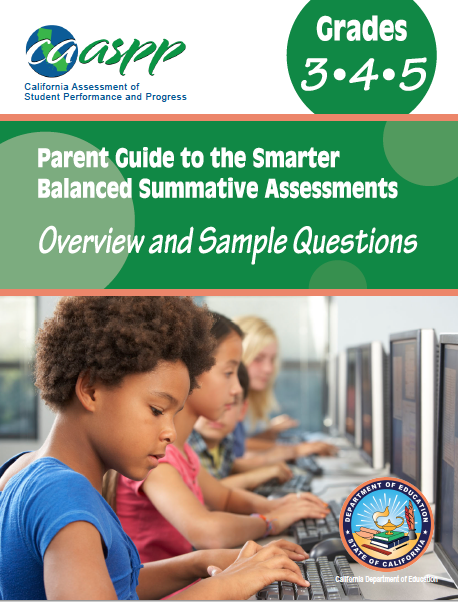 In 2018, parents are now able to compare results across three years (2016-2018) and determine their children's progress in meeting California's rigorous academic standards (Exception: Only one year of data is reported for students in grade 3). As a district, the scores assist us in evaluating our strengths and gaps and are used as just one gauge in determining steps to take to improve student achievement. EWCSD is committed to providing the best possible educational program for all students. Our focus will continue to be student achievement and educational equity for all students. In our District, we see these tests as an academic checkup. Like class assignments and report cards, they are one gauge of student progress--one way to provide you and your child's teachers with information about your child's work toward the high goals we have set for our students. Individual student reports are being mailed home this summer. Although the reports include explanations about your student child's scores, below are links to resources to help parents and the community understand how to interpret student results.